What happens when a paranoid schizophrenic checks himself into a VA hospital for treatment? Odom’s tormenting visions caused him to attempt suicide twice, he said in his manifesto. But the aliens didn’t allow him to die, Odom wrote. “They woke me up in an extreme panic, which caused me to get out of the car,” he wrote. According to his manifesto, Odom then checked himself into the local Veterans Affairs hospital. A VA spokesman was not available Tuesday night to confirm whether Odom received treatment at the center. I guess we don't know. 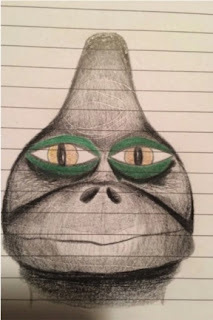 But probably nothing, because Odom went on to shoot a local pastor and attempt to warn the president about an ancient civilization of martians that rule the Earth and pose as humans. Proponents of socialized medicine would like to subject us to the same health care management team that provides this level of service to US military veterans. When I suggest that this might be a bad idea, they tell me I don't care about the poor. It's a hard argument to win.